Engagement: Save your customers time by providing them an easy way to get information on your business. 2010 will be a call to action to those business owners who used the build -it-and-forget it policy for their websites to wake up and get the online marketing and brand engine going. If you don’t believe me, search Google for your competition or look how your customers are reviewing you on social sites like Yelp. Shashi: Great list of tips on how to create a real presence on the web. Have you any figures on the usage of personalized .dot domain names like, .me and .name? Do you think we will see an increased amount of easy-to-use web site tools like Tumblr and Posterous, helping you to create a simple lifestream? It would be interesting to see the figures on the usage of personalized .dot domain names like, .me and .name, let me see where I can get them. Hi Shashi: Thanks for your quick reply. I look forward to learn more about the personalized dot domain names like, .me and .name. I use Martin.Lindeskog.name for my Posterous site and I have registered a .me domain for a future project. I see in your stated URL that Netsolutions has a designed page for WordPress blog hosting. I will look into this when it is time for me to renew my future main web property/ web site EgoSoleTrader.com. It is still under construction. I will test out a new WordPress template during this month. Ok I agree with the premise and purpose of your blog, but lets get real shall we? We all know that small business owners are not passionate about developing powerful, easy to use Web Sites complete with SEO and SMO and the almost required PPC work needed to niche effectively and bring in the leads. Do what you do best and find partners to do the rest. The problem as I see it is that us in the industry (me included I am just as guilty) are so busy talking and blogging to ourselves that we are missing the point of WIIFM for the small busineses today. Until we come up with a simple solution to help the busy already overworked ma and pa business owner= we are just walking around talking to each other…not offering THEM the solution they need YESTERDAY. My thoughts, and yea if your interested in helping me find the answer to this question email me cause I am working on it. Its an obvious problem waiting to be fixed. Fantastic job! I really learned a lot, and yes, I hope we’ll meet in person this year! Great post, thanks for the summary. One thing that I would add to the top design trends is that the site structure must be in sync with your “distributed web” content and marketing effort. The new marketing world is as much about what you do outside of your site. The purpose is to drive target customers to your site…both these efforts must be in sync. I agree that many businesses can get going either free or relatively cheap and I love the goals set for your website in 2010. Unfortunately I can think of how a client could do the last goal of Service with out using some more sophisticated think and technical solution that could only come from a professional graphic design studio. The first 3 goals would help achieve immediate business goals, but if you can give great customer service by providing your clients tools, you will have a better chance of these customers returning. Thanks for your comment. Ioften talk to small business and get their take on the benefit from blogging for their business. In fact my eye doctor blogs at http://eyeinfo.wordpress.com/ and you can read some behind the scenes info there. Among restaurants Chef Vinod of Indique a restaurant that I like blogs at http://chefvinod.typepad.com/. He has told me that very often guests come up and tell him that they read his blog while searching on Google for the restaurant. Another Washington DC chef ( I am based in Washington DC) Sudhir Seth of the restaurant SpiceXing has a blog http://indianfoodblog.blogspot.com/ and I need to encourage him to blog more. Blogs may not be for all but if folks are doing marketing they could try out a blog and see if it makes a difference to their marketing efforts. I am glad you gave me your point of view and appreciate the comment. Great point. Keep in touch. Great article. We’ll make sure that we keep these things in mind as we make updates to our site early this year. One tiny thing that I look at is the site’s copyright info. It tells me whether or not the company pays attention to their website at all or if they just set it up and let it be. I would also like to know your thoughts on increased video for small businesses and if they would fit in your list of 2010 web design trends. Sounds like a good year to be in the web development business. Shashi, this is a great post. On the point that smallbiz need to show that they are real, they should add a free KikScore seal onto a website. 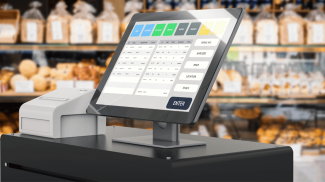 The seal allows small businesses to use information about themselves such as their track record for reliability and trustworthiness and show that to site visitors. That way small businesses can show that they are real and can be trusted! You can find out some more at http://www.kikscore.com. Sorry for minisales pitch but thought it was relevant to your post! Hope to see you soon Shashi. Thanks Kikscore, Thanks for pitching in. Good Luck with your new company and heres to having a lot of small business users for thefree KikScore seal onto a website. Shashi, great article and thank you for mentioning the EyeInfo blog (http://eyeinfo.wordpress.com). For the majority of your readers professionally tuned into the “evolution” of the internet towards social media and networking) website linking, blogging and social media connections seem like an obvious need. The small businessman outside of the tech world still thinks their static website with flash graphics and an online form is the bees knees. This presents a unique “window” of opportunity for the small business; while staying on top of this internet evolution is challenging, it has turned into a hobby and actually has enabled me to position myself as a thought leader in social media within my industry. Thanks for pushing me towards it and all your support. Keep the great articles coming. In response to Martin’s comment my collague and buddy gave me this info about .name domain names. As of Sept 2009, there have been 260,503 domain registrations for .NAME. he also told me that all General TLD reports can be found here: http://www.icann.org/en/tlds/monthly-reports/. >me does not come under ICANN so I am not sue where to find the stats. Shashi: Thank you very much for the information. Please give my best regards to your colleague. Want to save your web visitors time? Explain your business/service with a video conveniently playable from your home page. In 30-60 seconds you can explain exactly what you offer in an extremely engaging format. If you want help with that, contact me! Wonderful point> I love it – Explain your business/service with a video conveniently playable from your home page. In 30-60 seconds you can explain exactly what you offer in an extremely engaging format. Nice article, very informative.Great help for start up businesses. Great article. As someone who has a website, but doesn’t understand all the ramifications, this is a good outline for things I should do to maximize TECA’s presence. Great article! Very informative ! I am glad to hear that you like my blog – http://www.chefvinod.typepad.com and thank you very much for mentioning it. Keep up the good work. As a small business owner, we appreciate your support and really look forward to the confernces and meetings that you organize for the small business community. Minimalist design with use of fonts as design itself. Speed of loading and that helps with search and Smart Phones. accessing the site. I am so happy that your blogging (http://chefvinod.typepad.com) is as good as your cooking at http://indiqueheights.com . May be one day you will write a article on the secret sauce you use to manage your time with your restaurants and social media. Great post, Sashi! I talk to so many small business owners whose websites desperately need a workout! Maybe what is needed is a little DOMS (delayed onset muscle soreness) ….you know the soreness you feel after working out a few muscles you didn’t know you had? Experimentation is key! My clients had a lot of success and fun last year mobilizing and energizing brand advocates by using Facebook Connect. Who what have thought? It’s time to step outside the box and rethink how websites can serve small businesses. Thanks for stopping by and would love to get more input from you on your experience with small business and web design. I loved “many small business owners whose websites desperately need a workout! I loved the “DOMS (delayed onset muscle soreness) .you know the soreness you feel after working out a few muscles you didn’t know you had? ” concept. Sure. I love this topic and your insight. Technically and financially speaking, it is exciting to see the barrier to entry being lowered for small businesses who want to leverage websites and integrate web 2.0 technology. The social web is teaching us the importance of being more participatory and engaged. Taking ownership of leveraging a website helps us sharpen our skills and expand our resources. The tool that used to be viewed as “our business card on the internet” is now a vibrant, alive place where connections are made and relationships are built. How exciting! Practical advice although nothing ground-breaking. The title is misleading though. I would call these website trends, not web design trends. I don’t see anything referring to design here except for mentioning installing WordPress themes and crowdsourcing it out, which is not actually designing either. Due to globalization, a website for a business is always fruitful for generating ROI and brand building in the market. Onsite marketing is very difficult for small businesses as it needs a lot of capital. A website development company which targets the small and medium businesses for designing, developing, maintaining and marketing their websites help them a lot. They can increase their customer (web traffic) and business at a very affordable rate. Thanks for stopping by and you make an interesting point that I did contemplate while writing the article specially about the title. Would you agree that for a small business audience who think of web design as components of their web presence they may not have valued any trend points like css becoming more prevalent. That maybe best handled by sites for Web designers like http://www.useit.com/ of Jakob Nielsen. I was impressed by your site http://www.intuitivedesigns.net/ and you may have more feedback about how small business websites approach web design. My Intention here was to wake up Small Business owners to be more savvy in 2010 about their web presence and turn them into highways to increased business. Thank you again for giving us your feedback. Thanks for stopping by and I agree tat web design firms that target Small Business will understand the challenges and needs. @Shashi – Well, I wasn’t exactly talking about css as a design trend either. That’s more of a programming thing than a design thing. Mainly, what I was trying to point out was the different between web design and web building. Setting up your site in WordPress, installing a theme, and then configuring plugins and widgets is all well in fine, but doesn’t mean you “designed” a website or followed a “web design” trend. 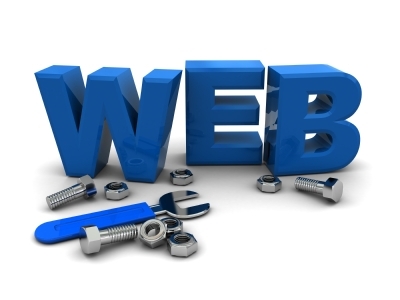 Web site building is only a small part of the work most web designers do if they do that at all. So, the point I’m trying to make is that site design and site building shouldn’t be confused as they are two totally different areas and web design is a profession unto itself. All that said, I do think that site owners should take steps to be more savvy about their websites and what’s out there. I think that more information is definitely great for biz owners. Nice thought about 2010, websites are serving well and its going to get better in future. Thanks again Naomi – Your comments have been very encouraging and will help in future posts. Thanks for stopping by and giving us your feedback. Minimalist design, accessibility and good customer service will always a web design trend. Great post, Shashi. I like the combination of action steps for firms without a site yet, plus things to look for for both those that don’t and those that do and want to improve theirs. One thing I would add based on what we’re seeing in the small business competition the nonprofit I work for does each year, is that top small businesses are using their employees — in all areas — more than ever, in terms of ideas from areas outside sales/marketing/IT, and also doing A/B testing more inexpensively by using employees’ personal networks, as opposed to outsourcing it professionally and paying more for it. Thanks for stopping by and you have stated a great point and I have seen that as well and wish I had added that. Thanks for stopping by and I agree widgets will become more and more popular as an extension of the website. Very nice list! Totally agree, a more simplistic approach should be taken for a lot of businesses. Hey Shashi, I was looking around for guidelines & inspiration for creating my B2C website. Yours is gold! I am a contractor and my target audience will be very local, within 15 minutes drive of here. Any advice on reaching a smaller local area via the internet? Just stumbled across this article, and I wanted to say it is very informative! Microsoft has a very nice site with a lot of resources available to see if these trends will effect you, and how to implement them. If you have not already looked through the site it may help you how to make sure your small business can get in on these trends. I love how easy it is for small businesses these days to create websites using software such as Blogger or WordPress, but I hate when I hear that someone has created a business and all their content on a wordpress.com domain instead of their own. Yes, this is true. But I think the chief way to be on the trend in terms of web design services is customer satisfaction. Most customers give the idea of how they want their site will look like and the final touch of the designers will add the sparkle of that idea. I definitely gained some knowledge and a few new ideas for projects I’m working on from this article. Inspiration can be hard to come by sometimes, so I thank you for that. Good post! I was wondering, as I usually read most of the entries here is there any way I can get updates sent to my email? @Create Webworks You hit the nail on the head. Sometimes exceeding the customers expectation is not what they want. They want what they want. Some web designers think more about thier portfolio than the clients site. yes some Web designers think about their portfolio than the clients site, but maybe it was because of these same customers that we have to look about our portfolio than their sites? Cool stuff! I really enjoyed reading this and with your permission would like to post some of it on my blog (with a linkback of course). Sometimes exceeding the customers expectation is not what they want at all. They want what they want and thats the way it is. Some web designers think more about their own portfolio than the clients site. I am a widget creator and I believe that is going to be one of the futures of the internet. I have had extensive time developing them and they make everyones life easier! I agree on that Sean. These are very good points. Setting up a blog is the easy part. Continually developing quality content and building traffic is much harder and time-consuming. A small business has to be prepared to follow through or else it is a waste of time. I loved the article. As someone who has spent time in the online world for the past few years I agree with what you talk about in regards to things going from flashy to simple and usable. I remember just a few years back when Flash was a huge thing and sites were terrible to work with. Now we have a revolution coming where quick and easy rules the day, and I couldn’t be happier. I’d point out that website owners need to really have clearly defined goals as well, it’s not “Website On: Money In”, it’s work, work, and more work! This is some very solid advice for small business owners who want to get ahead online. Thanks for putting in the effort to share this. This is a great and comprehensive review of the trend in business website during the 2010. Now that 2010 is ending and the new year is fast approaching, I am hoping that small businesses will continue to enjoy the benefits of building their online presence through affordable yet effective solutions. I think the mark of a good article is that I now want to go back and try some ideas that got generated from this article. Links are key and cheap designers too! Great list of tips on how to create a real presence on the web. Have you any figures on the usage of personalised .dot domain names like, .me and .name? A modern web visitors must allow integration with social networks, essentially “twitter” and “facebook”, the small business is no longer an entity without personality, wanting to play to big business. Its action allows you to integrate into the local community and identify with it. Hmmm, these concepts make sense, but I don’t think these “trends” are all that new for 2010. They were there even before. I am a small business owner myself, and I believe it is important to brand your company on the internet. Traditional ways of marketing and advertising are becoming obsolete as the internet is becoming more of a factor in every business imaginable. The traditional business owner used to advertise in the paper, flyer the neighborhood and maybe advertise on the radio. It became a monopoly for the methods of advertising and they started to charge insane amounts of money. With internet advertising being so popular, a small business owner can succeed with a little knowledge of the internet and SEO. Excellent information thank you, is there a chance of a 2013/2012 list? Thanks. Inspired to work on the 2012-2013 list. Wow, really enjoyed this post. So inspiring, thorough and helpful, and I liked how you focused on each aspect which makes it easier for me to understand where to improve and what to work on. I agree that social media channels contribute a lot in gaining business exposure, it’s in the works now. Thanks again Shashi. When I started my online business in 2011. Aspect know much about web design trends for any online business. I left advising with the help of experts, now I understand much better. I note that it is crucial to keep well informed not to go around giving circles. Thank you very much for your valuable information remains a topical issue. Looking back at this article sure makes you think how much has changed. Almost everything in here are now a common web practice now. So much has changed because of Google’s algorithm, that being said all of information here is as valuable as it was back in 2010. Thank you for a very informative read.